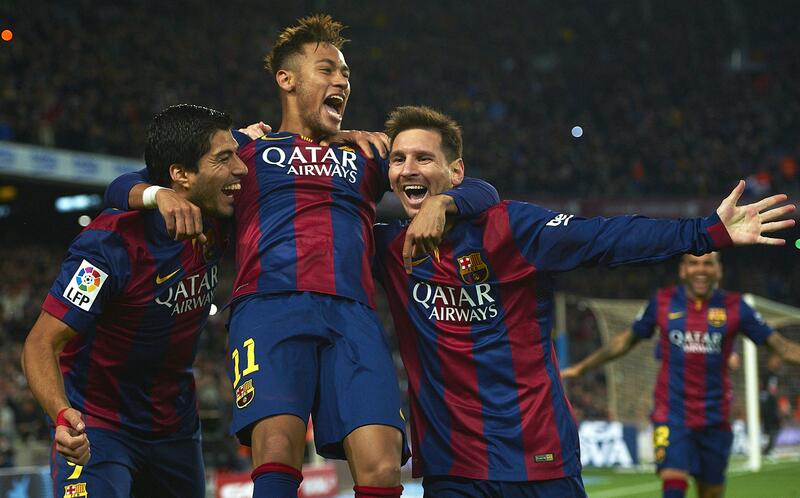 BARCELONA, Spain – Barcelona is facing an uncertain future without Lionel Messi’s heir apparent. Neymar flourished alongside Messi for four seasons, and everyone in Barcelona – executives, players, fans – counted on the 25-year-old Brazil striker to eventually become the team’s leader after he signed a contract extension last year through 2021. That plan was blown away on Thursday when Neymar’s astonishing 222 million euro ($262 million) move to Paris Saint-Germain was completed after his release clause was triggered – doubling the world record for a soccer transfer. The departure of Neymar leaves Barcelona in the position of having a lot of extra cash and the clear need to shore up an aging team that has lost its second-best player and its projected star for years to come. Barcelona’s other top players, however, are all eyeing the twilight of their careers. While he still hasn’t lost a step, Messi is 30 and entering his 14th season. Striker Luis Suarez is also 30, and midfielder Andres Iniesta has reached 33 and is in the final year of his contract. Iniesta considered Neymar irreplaceable, no matter how much money the club would get in exchange. Neymar’s departure after four seasons and 10 trophies breaks up one of the most potent strike units ever. Neymar and Messi were joined by Suarez in the summer of 2014, and the three became almost unstoppable, scoring a Spanish record for a trio of 122 goals in a season to lead Barcelona to a rare sweep of the Champions League, Spanish league and Copa del Rey titles. Barcelona’s identity is based on a 4-3-3 formation with a trio of attackers up front. So the club’s first priority will likely be to sign another top forward. Spanish media reports link Barcelona to Atletico Madrid’s Antoine Griezmann and Borussia Dortmund’s Ousmane Dembele. Barcelona could also be tempted to enter the sweepstakes for Monaco’s teenage striker Kylian Mbappe, who is supposed to be on the agenda of fierce rival Real Madrid. The luxury of having three superb strikers occasionally left Barcelona exposed at the back last season, when it outscored Madrid in the league but lost key matches that also contributed to an early exit from the Champions League quarterfinals. Barcelona had already been after PSG midfielder Marco Verratti as it struggles to maintain its signature dominance in midfield two years after Xavi Hernandez’s departure. Other rumors point to the Catalan club luring away Liverpool midfielder Philippe Coutinho or Juventus playmaker Paulo Dybala. Barcelona will have to pay inflated prices for players after PSG blew open the market, and potential sellers know they have oodles of cash. The club will also have to face the truth that, at his best, Neymar is only comparable to Messi and Madrid’s Cristiano Ronaldo. The market closes at the end of the month. Barcelona faced a similar situation in 2000 when it infamously sold Portugal midfielder Figo to Madrid. It spent the money it received on Marc Overmars and Emmanuel Petit. What followed was Madrid’s “galactico” reign while Barcelona took five years before winning another Liga. Former club president Joan Gaspart – who sold Figo – defended current president Josep Bartomeu against criticism that he let Neymar get away. Neymar’s departure comes with Barcelona already playing catch-up with Madrid for the first time in a decade. Madrid has won three Champions League titles in the last four years and claimed its first Spanish league title in five years in May. Madrid defender Sergio Ramos said recently that Madrid would get a boost by simply not having to play against Neymar. “That is one less problem for us because in the key matches they won’t have the player who made the difference,” Ramos said. Madrid will get its first shot at the post-Neymar Barcelona in the Spanish Super Cup on Aug. 13 and 16. Barcelona can take heart that the last time the two powerhouses met Neymar was suspended. Messi scored two goals anyway for a memorable 3-2 win at the Santiago Bernabeu. Barcelona can only hope that Messi can do it again, and maybe for years to come, without his No. 1 sidekick. Published: Aug. 3, 2017, 1:01 p.m.